How often should you use your massage chair? Most people would admit that they don’t know if there is a limit as to how much time they should spend on a massage chair and at what intervals. The relaxation feeling of getting an amazing massage may be too good to let go and some folks would say they could spend all day relaxing. However, for some various reasons -which we will mention- this is not recommended. 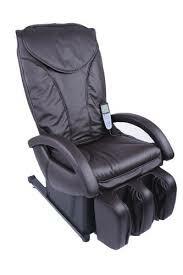 The benefits of a massage chair are best achieved when used in short intervals of about 15 minutes each. So, if a massage chair can treat such conditions, why should there be time limit. The reason is because too much of massaging can intensify the existing injuries that you are treating or cause damage and inflammation of body tissues. This is why you should stick to the 15-minute time limit per session, which should be done approximately three to four times a week. This schedule is pre-tested and found to work perfectly across the board for all treatment needs. Don’t be alarmed though. Massage chairs are absolutely safe to use and greatly useful for your health needs when used within the limits. But sometimes you may be tempted to take some more minutes in the chair, it’s normal we all crave for some lazy moments away from the busy work schedule. Take 15 minutes in the chair then take a nice break, probably walk around before returning for another session. The break between the intervals helps the body get rid of toxins released during the massage and freshen up before you another session. Most people love taking their massage session while reading a book or watching their favorite television show, hence keeping an eye on the timer may be a challenge. But thanks to technology, we have quite an array of models with built-in timers. The timer will switch off the system once the 15 minutes are exhausted. You may feel tempted to reset the timer to enjoy some more minutes in the chair, but remember that for you to leap the full benefits, sticking to the schedule is very crucial. After all, you don’t want to end up spending a lot of money buying the massage chair and continue suffering from the same conditions or worse even create entirely new injuries. However, you may use your massage chair as much as you want when the system is switched off. The most recent models are designed to be super comfortable and the ideal chair for reading a book, watching television, or just resting. If you are thinking of owning a massage chair, you should consider various factors before making a purchase. First is availability of space where you are going to place your chair. Various models are designed to fit in different room spaces, there are those that take more space than others do. Secondly, consider the color of the chair. There are different colors for every model to ensure that the chair fits in well with the rest of the house furnishings. You don’t need to buy a chair that would be odd looking in terms of matching with the rest of the house décor. Finally, let’s talk of the budget. 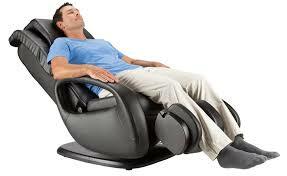 Massage chairs are generally not expensive but other models that are costly. It depends with your health needs and what you can afford. However, don’t push beyond your financial limits. If you are feeling drained by constant muscle pain and stress related injuries, and wants to make a drastic change for the better. Consider investing in a massage chair. It will ease you pain and give you a life time service. Always consider discussing a pre-existing condition with your doctor if you have any or if you are pregnant as they may prevent you from enjoying your massage fully. The conditions may include high blood pressure, heart conditions, or blood clotting problems. However, like I said earlier, there are different models for every one and a doctor will definitely recommend for you the best choice of a massage chair.